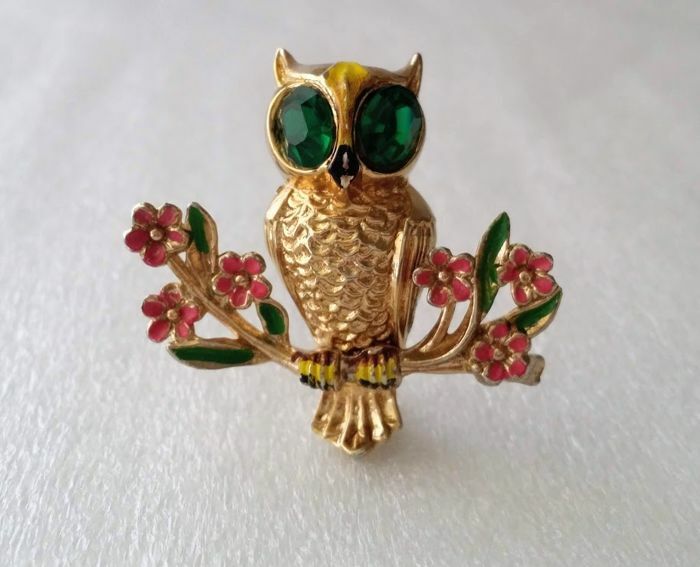 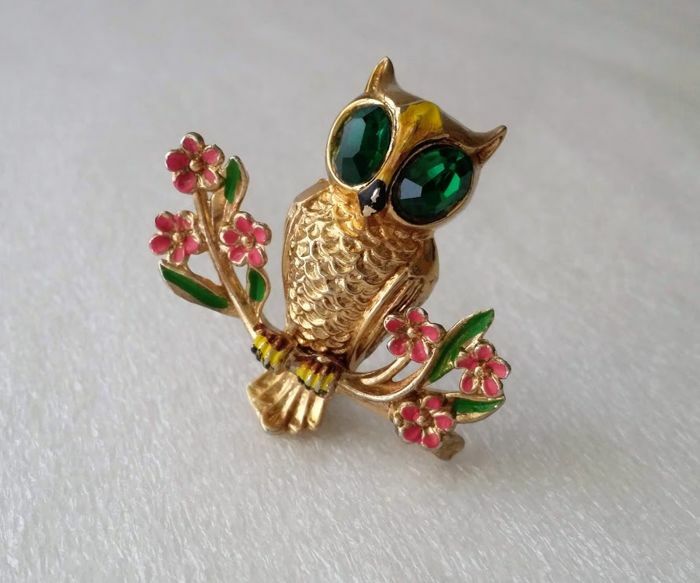 This vintage gold tone and enamel owl brooch by Coro was designed by Adolph Katz. . 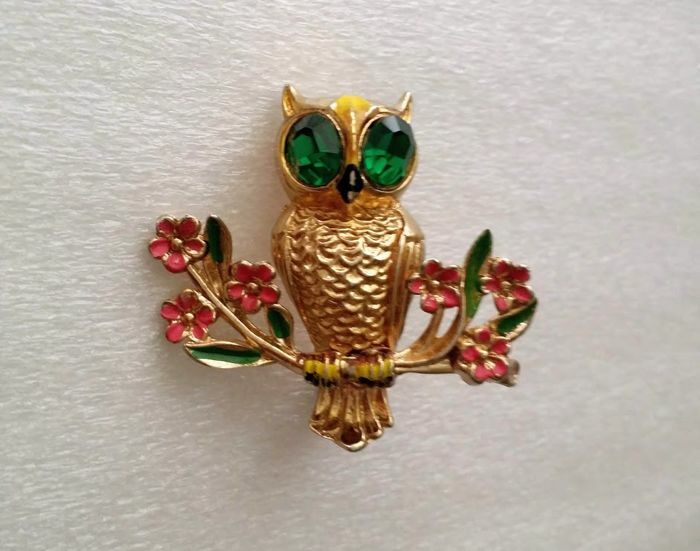 The owl is listed in Julia C. Carroll's "Collecting Costume Jewelry 202". 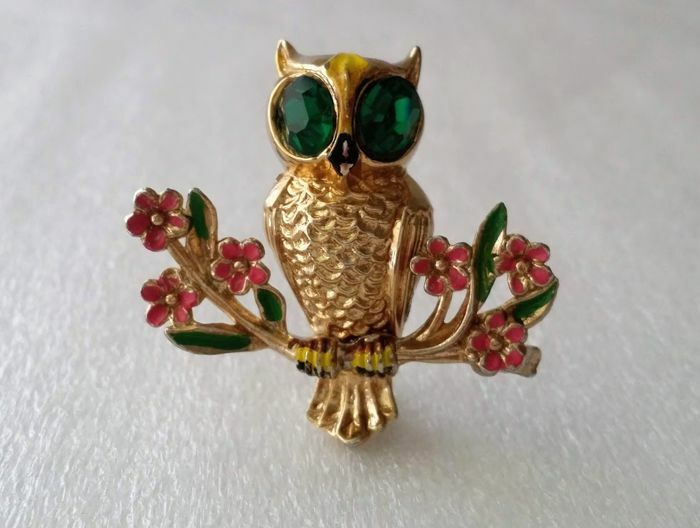 It is described as an Owlet. 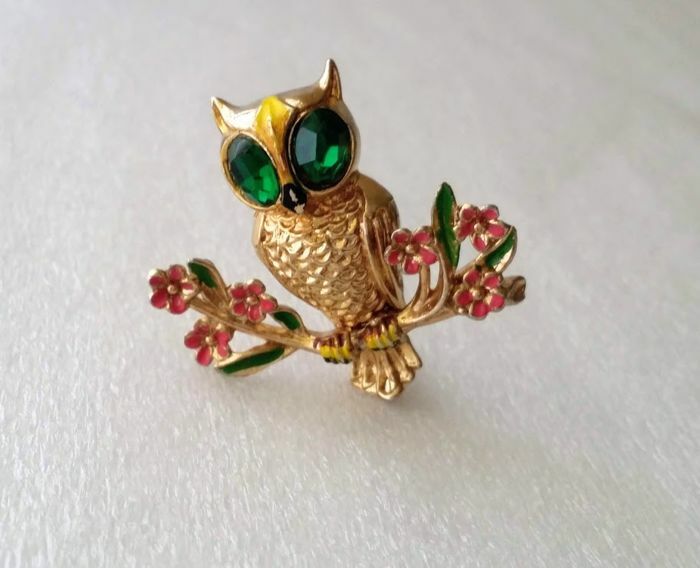 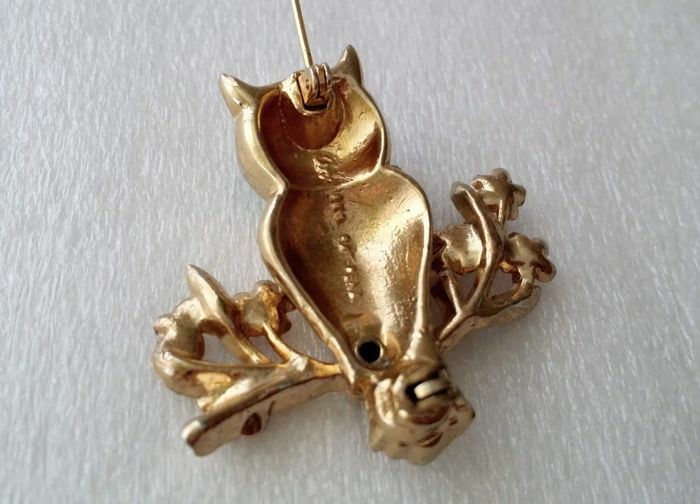 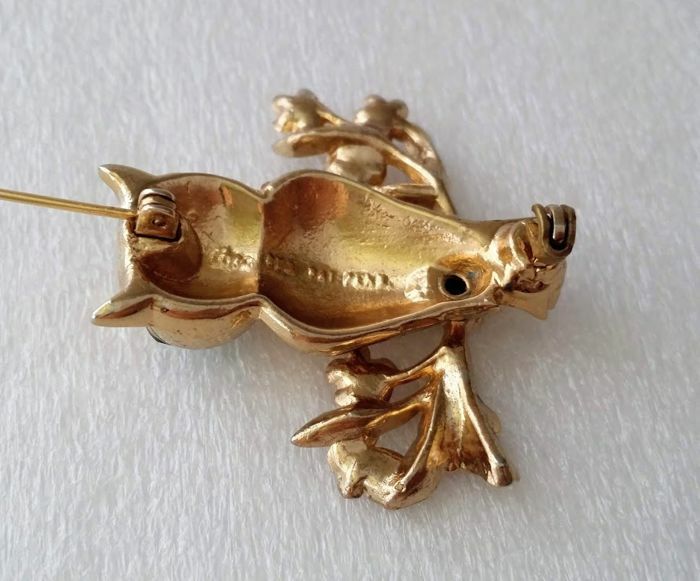 This little owlet is gold tone metal. 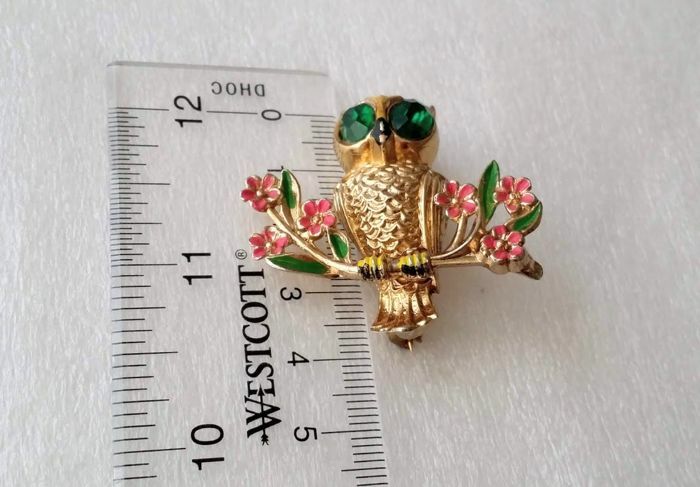 It has big bright green eyes with cream enamel feathers in the center. 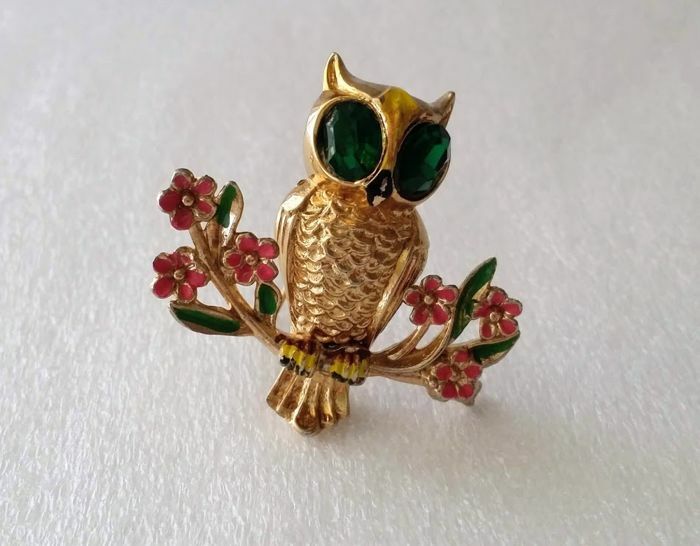 It is sitting on a branch with small pink flowers. 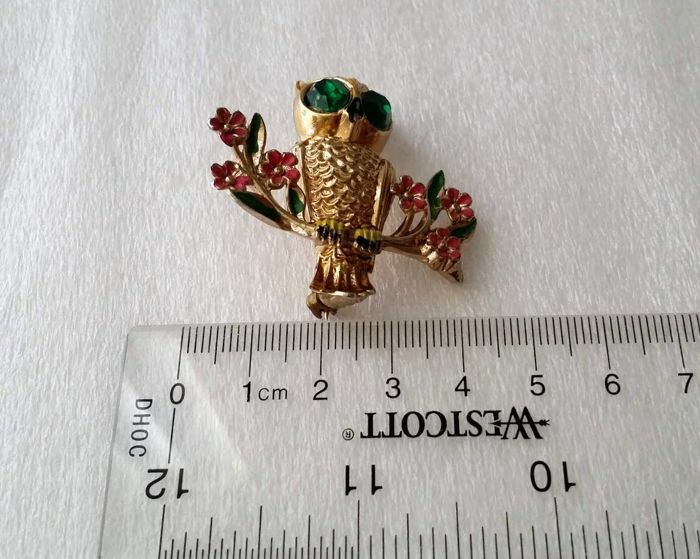 Condition: Good vintage condition, please look at the pictures.